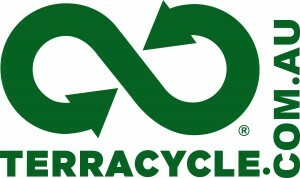 Last week we wrote a story about the New Jersey-based recycling company TerraCycle Inc, which developed a program in 2012 to recycle discarded cigarette butts by turning them into useful item. We mentioned Sydney may soon join the large-scale recycling effort, according to The Telegram’s report that was posted last week. However, on the 20th of June this year, TerraCycle Australia released a statement that Australia has already joined the scheme and since its launch in March, has collected over 1 million cigarette butts. The discarded cigarette butts has been recycled into industrial items. Some of the major participants in the Cigarette Waste Brigade include Australian mines, large companies, small businesses and individual households. TerraCycle’s innovative recycling program called the Cigarette Waste Brigade® allows any group, workplace or individual over the age of 18 to sign up, and collect cigarette waste at home or work, and send it to TerraCycle via Australia Post at no cost. Cigarette waste is recycled into industrial products such as plastic shipping pallets and railway sleepers. The company revealed that the community response and recycling effort has been fantastic. “Thanks to our Cigarette Waste Brigade locations across the country and our partnership with Australia Post, we have reached this milestone achievement of one million cigarette butts being collected so far this year,” said Anna Minns, General Manager of TerraCycle Australia. TerraCycle Australia not only recycles cigarette butts, but also collects other difficult to recycle waste streams, working with major brands: Colgate to recycle used toothbrushes, toothpaste tubes and other oral care waste, Natures Organics to recycle used cleaning, laundry and beauty packaging waste and with Nespresso to expand their recycling program for their coffee capsules.